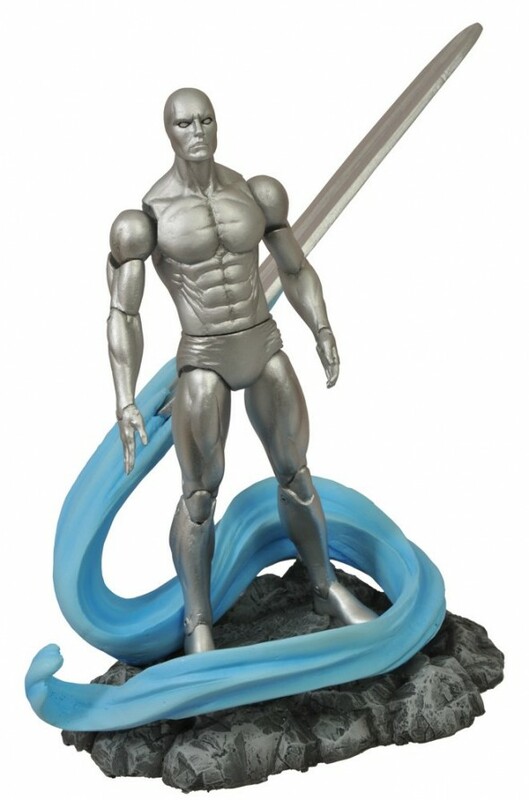 You may have seen the design sheet from the New York Toy Fair, but Diamond Select Toys has finally unveiled the fully sculpted Silver Surfer action figure! Sculpted by Sam Greenwell based on his classic look, the Surfer stands approximately 7 inches tall and is due in stores this winter. For a base, the Surfer comes with a rocky planetary surface, with his ever-present surfboard supported by a winding energy trail. The board is removable from the base, and the Surfer can stand on the base with it as well as ride it using his 16 points of articulation. Additional accessories will include energy blasts for his hands as well as the fabled Infinity Gauntlet, and all will come packaged in the Marvel Select line’s distinctive display packaging, with Silver Surfer art on the spine for easy shelf reference. Pre-order today through your local comic shop or favorite online retailer! 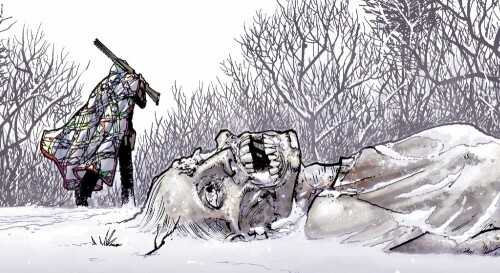 Next Up: The Walking Dead Minimates Return to Hershel’s Farm at SDCC!